I felt a little niggle in my hip throughout the class – which I’m not overly worried about but I’m going to keep an eye on as I can’t afford any time off running for injuries! I don’t often enjoy rest days, especially when I don’t necessarily feel like I needed them (even though I know I do!) However, my hip was still a little sore and it was Valentine’s Day so it was much preferable to spend a night at home cooking with Brandon. We made one of our favourite dishes from Lean in 15 – Seabass with Pak Choi and Cashews followed by some healthy treats from Sweet Deceits! 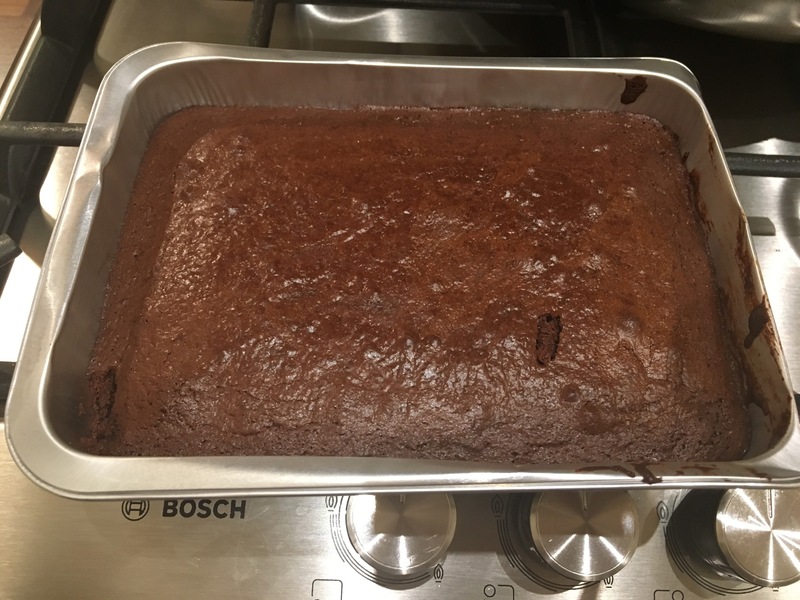 I tried out their Chocolate Brownie baking kit and was not disappointed! I love that sweet treats don’t have to be unhealthy. These are made with no refined sugar and taste pretty good! I was meant to run 3 miles but I woke up with a UTI and it couldn’t have come at a worse time – just as I was getting into the rhythm of my training. 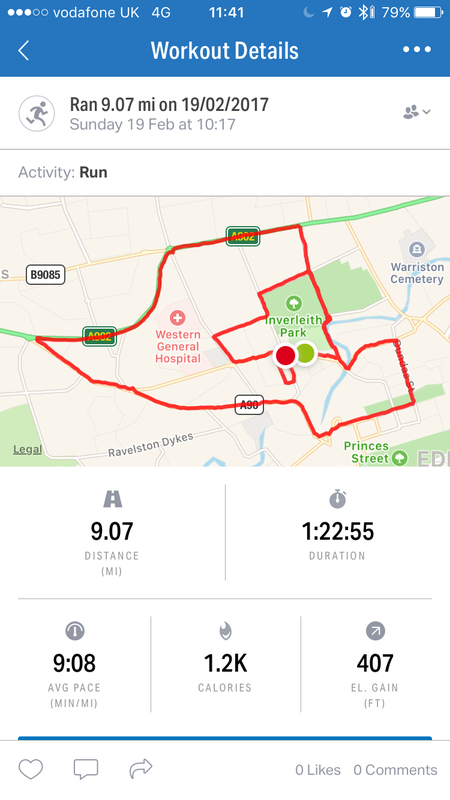 I took a Ciprofloxacin tablet in the morning – which I had excess of from a previous infection but then read some absolute horror stories about taking this as a runner. One of the possible side effects is tendon rupture which can even occur long after you stop taking the antibiotic. This freaked me out a lot and alongside my hip still giving me problems, I decided I was going to have to skip my run. This threw me a little mentally as I really want/need to stick to my training plan but I figured 3 miles wouldn’t make a HUGE difference and I vowed to make it up later in the week or next week. I ran on the treadmill before work and despite a little discomfort in my belly, I had a pretty good run! Another morning run in the bag! It was great to get it done before work so that I had my evening to myself. I had contemplated adding on a little bit to this run to make up for my miles lost on Tuesday but in the end I decided just to take the hit on that one. I still had a nice active day spent at Vogrie Country Park with Brandon. 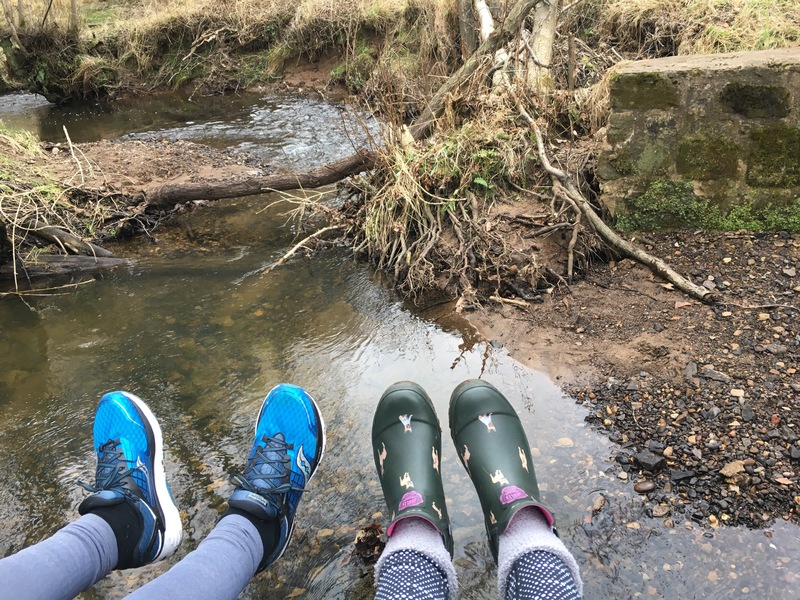 We completed the Tyne Valley walk and ate our picnic with our legs dangling over a small river! Banana pancakes…mmm! I love being outdoors and getting fresh air so it was a really nice way to spend my day off work and my day off running. This is the furthest I’ve run so far! I had no idea if I was going to manage this and in what time! When I left the flat I gave myself an estimated time of 1 hour and 45 minutes but had told Brandon not to worry if I was still out around the 2 hour mark. I ended up finishing it in 1 hour and 22 minutes and was absolutely over the moon! I maintained a similar pace to my 5k pace and was happy to see that my mile splits were pretty even. So that’s another week of training down and even if it didn’t get off to the best start with falling ill, I pushed through and I’m feeling much better going in to week 3.